Posted By Videogrunt: Hi Sir, AndyFan said you would know what today was and that it should be a great one. I hope this makes sense. I don’t know Sir, AndyFan is kind of confusing. I can’t make sense of what he is doing, He hired me and then took off. I enjoy working for you, you are funny. But he said I can not call you directly. I have to go through him and just wait for orders. Seems to have a lot of rules for the sake of having rules. He said he is on his way back. He did say that the mission was a success and that new material would start again on Monday. 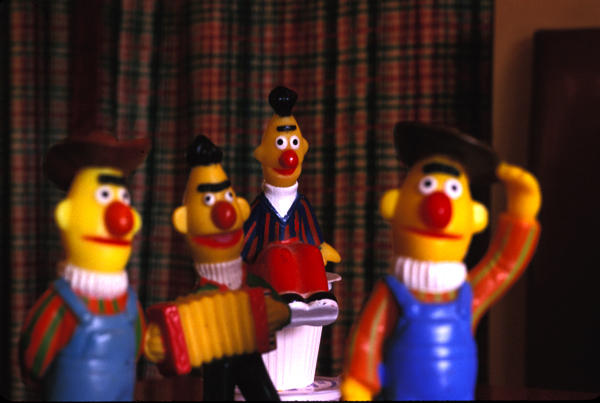 In the meantime he said Bert would sing you a song. What ever that means. Should I be singing Sir? He also said to make sure Chris doesn’t lose your keys. The day is very early. This entry was posted on Friday, August 14th, 2009 at 10:34 pmand is filed under . You can follow any responses to this entry through the RSS 2.0 feed. You can leave a response, or trackback from your own site.